~ So the only thing you'll have to plan, is to have fun! This one was relatively easy to do but a bit time consuming. I love, love, love books (which shouldn’t be surprising since I’m throwing a Harry Potter party and I’m a writer). So when I saw this type of sign online, I knew I had to make it. 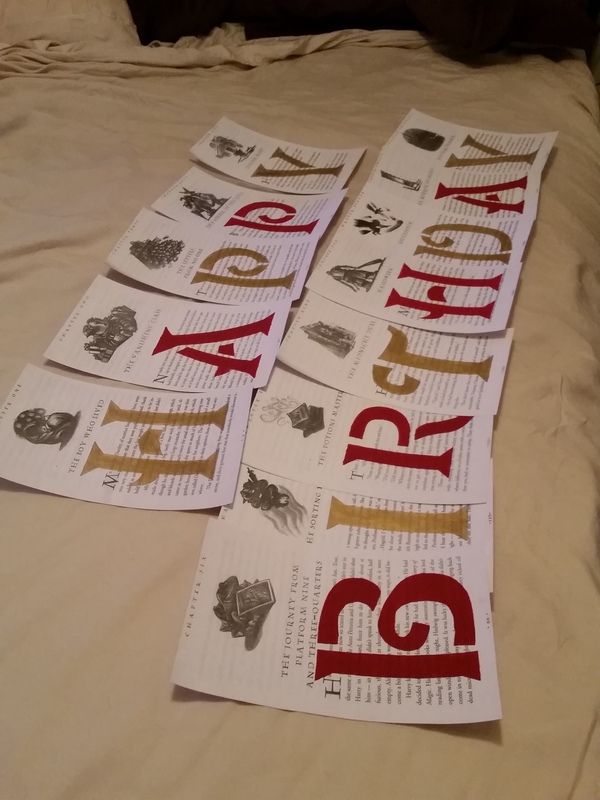 All I did was copy the first page of the first thirteen chapters of the first HP book and enlarged them. I printed them on cardstock just to give them a bit of substance. Then I cut them all to the same size. I stenciled the letters on and then painted them in metallic gold and maroon alternating colors spelling out Happy Birthday. Then I punched holes in the corners and strung them along twine for the finished project. Easy peasy. It just took some time to paint them and let them dry and do another coat of paint. You can’t tell from the picture but I left the paint light enough so you could still make out the words a bit underneath the letters just because I like the way it looks. You can do it as dark or light as you’d like. You can also spell out the birthday boy or girl’s name if you’d like. I have two birthday boys so I chose to forgo the name. 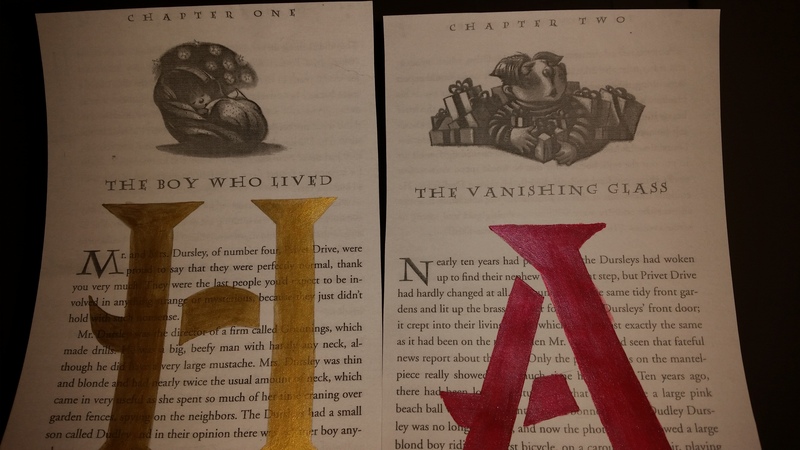 You could also spell out something else if you’d like to do a Harry Potter theme. Something like “Welcome Back” for a back-to-school party or “Happy Halloween” for a, well, that one is self-explanatory. So there you have it. An easy project that looks awesome. One final note, I waffled back and forth about whether I would have the sheets laminated before I strung them. 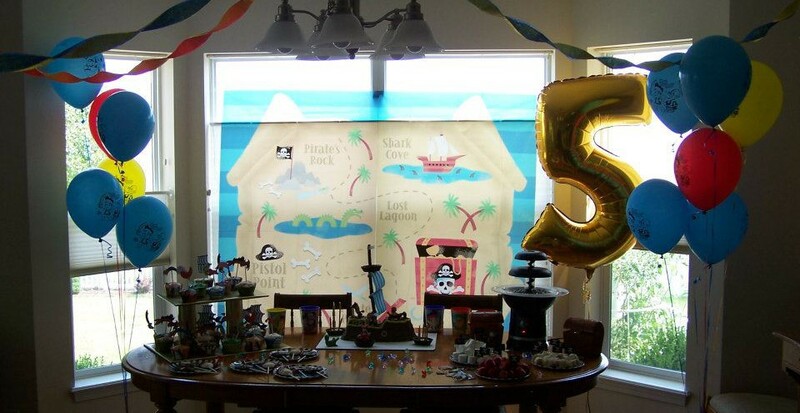 On the pro side I will be renting out my decorations for parties here in the Phoenix East Valley area so I want something durable. If you plan on using this over and over you should consider laminating them. I might do it after the fellas’ party. But the reason I didn’t was because I think it will take a bit away from the “bookish” feel they have to them now. I like that they look like I just took pages directly out of the books. But really it’s up to you what you’d like to do. If it’s just for one party, I wouldn’t bother, they look amazing without it. Visit Kara's profile on Pinterest.